Clues can be found in declassified US intelligence reports in this section. Almost all American POWs returned at the end of the Korean War had been held in Chinese-operated prison camps located in North Korea (China, North Korea and the Soviet Union fought together against the US, United Nations forces and South Korea during the conflict). 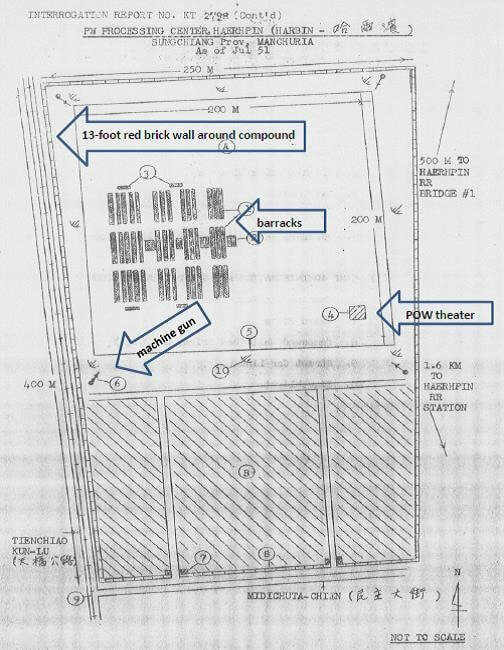 Held in China itself at various times were at most several dozen or so US prisoners, the Pentagon now claims, located in only three Chinese cities: Beijing, Dandong and Shenyang. Of those, all were returned in 1953 except for fifteen American aviators (and one Canadian), held a few years after the war, plus two CIA officers released in the 1970s. What the Pentagon does not prefer to discuss are classified documents from the CIA and Army intelligence released decades after the war. 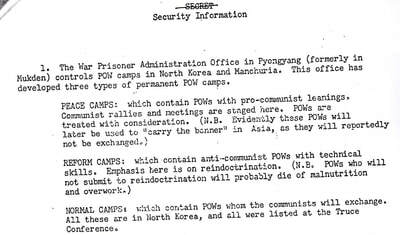 These wartime files state that Soviet advisors and Chinese POW officials decided to establish three types of POW camps for Americans. The first type, “normal camps,” would be located in North Korea and disclosed to the United States. The other two types of POW facilities, “reform” and “peace” camps, would be established in China for Americans with useful skills or believed susceptible to communist indoctrination. “Normal prisoner-of-war camps, all of which were in North Korea, detained prisoners whom the Communists will exchange. 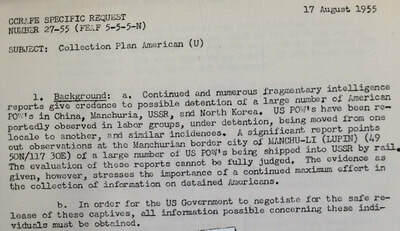 Prisoners in the peace and reform camps will not be exchanged,” reported a 1952 CIA report. 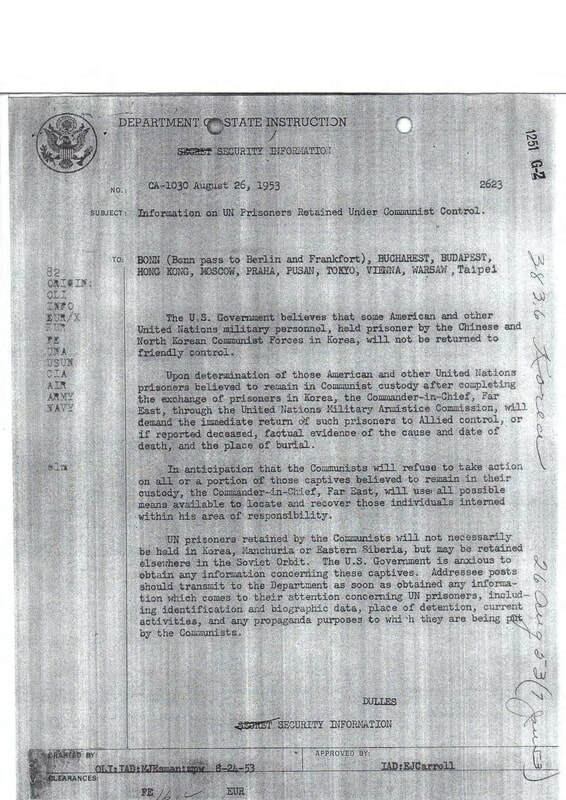 The “peace” and “reform” camps would not be acknowledged to the United States. They would be secret. No Americans would return from them. And US intelligence “confirmed” their existence during the war. 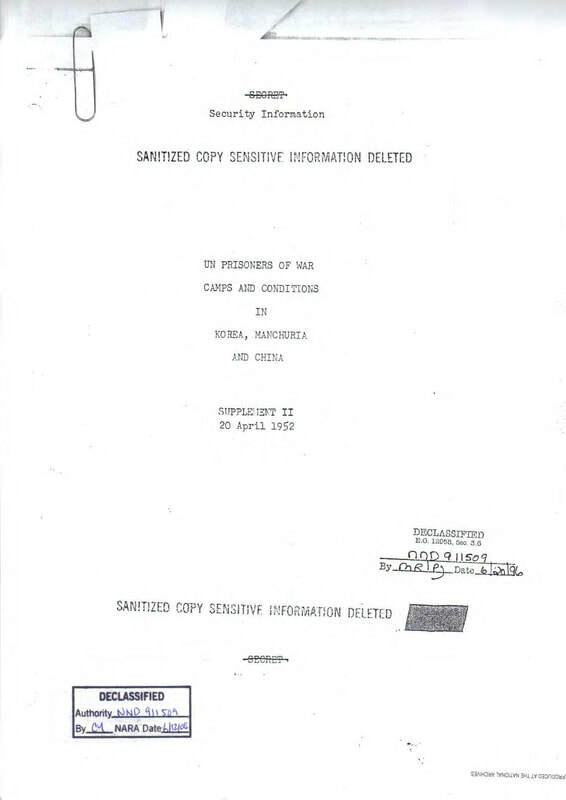 Based on information from numerous captured enemy prisoners and other intelligence, these declassified files include extensive detail on both “confirmed” and unconfirmed camps in China, including the addresses of secret POW camps in many locations other than Beijing, Dandong and Shenyang. They also report prisoners in those three locations who, if the reports are accurate, were clearly not among those released. 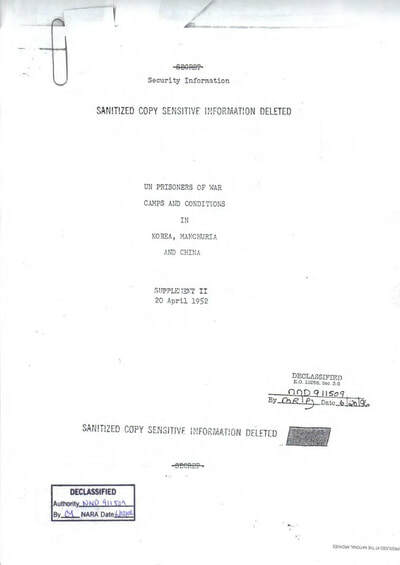 Some of the files even include the Chinese names of officials at the secret camps, addresses of facilities and even transliterated names of alleged US POWs being held. 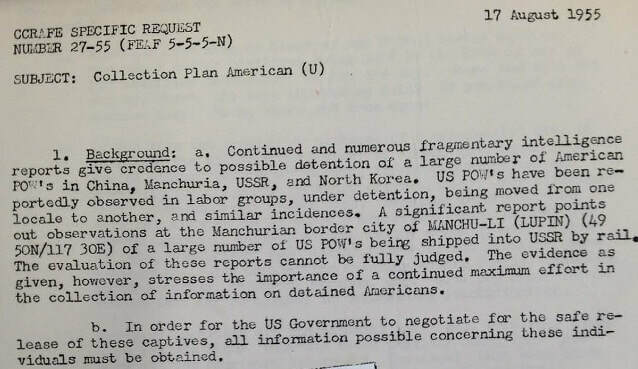 Among the details are reports of American captives being moved via train – shipments that match up with reports of Americans being transported through China to the Soviet Union (see the “Lead” US Korean War POWs in the USSR). One example: Reports of American POWs in secret facilities in Harbin, a city in the northeast of China, began early in the war and increased over time. A captured enemy soldier reported about 80 Americans captured by the 338th Regiment were shipped to Harbin at the end of October 1950. The reason: “The CCF (Chinese) unit was unable to provide sufficient food to feed them,” after supplies were cut off by American airstrikes. In June 1951, about 1,000 American and South Korean POWs were seen on a train, headed from Sinuiju, the North Korean city on the Yalu River border with China, to Harbin. 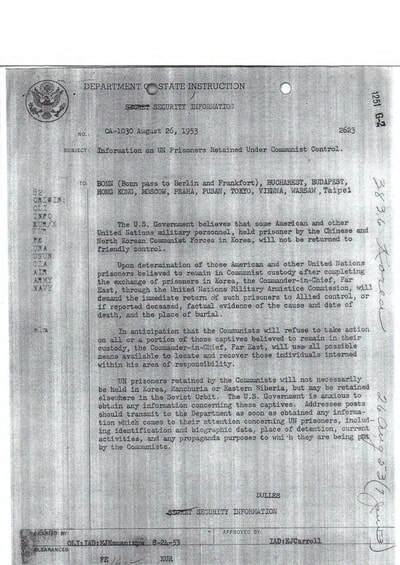 This matches the place and general time mentioned by another captured soldier who reported US and other POWs being shipped from Sinuiju to unknown locations in China. A month later, platoon leader, Liu Feng Chiang escorted fifty UN POWs to Harbin, he told US intelligence later that year. He spent about eight hours in the prison camp before heading back to North Korea, he said. A US intelligence official described Liu as intelligent and cooperative. Liu described the POW camp in great detail and drew a map, saying it was a processing facility where hundreds of new US and allied prisoners spent several weeks before being sent to another camp. Though nominally under Chinese control, the Soviets really ran the facility and did the questioning of Americans. The Americans lived in cubicles which each had two wooden bunks. They were given a physical examination and interrogated to determine the “possibility of their acceptance of SOVIET teachings.” Records were maintained of the interrogation of each prisoner. For recreation there was ping pong, basketball and a weekly Soviet movie. Liu said the men appeared underweight. After a racial incident, the white and black POWs had been separated. US intelligence was impressed with Liu and his information was “believed to be reliable.” If he really was “reliable,” this is a camp from which no Americans returned home. Secret camps were also reported in other Chinese cities, including: Liuzhou; Shanghai; Liaoyang; Guangzhou; Hankou and Changchun. 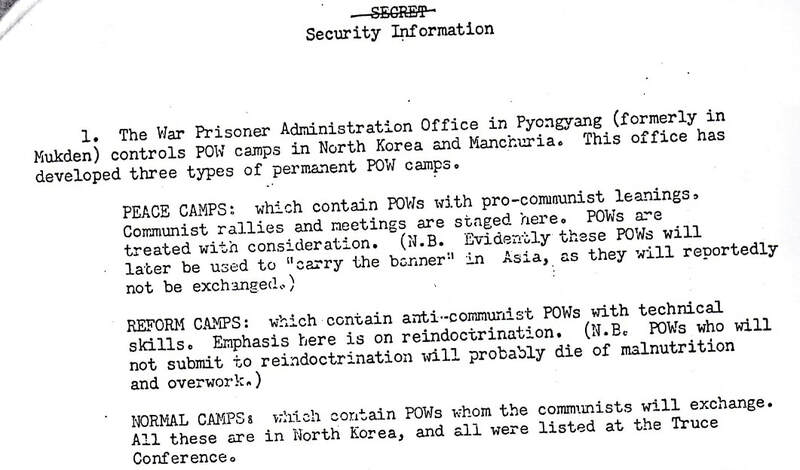 If these secret camps actually existed, there are likely surviving Chinese and Soviet officials who worked there or knew about them, plus other witnesses and records concerning them. PIP will provide a $1,000 research fee to the first contributor who can document the existence of one or more secret Chinese POW camps from which no American prisoners returned (documentation judge by our special advisors). We are also interested in the fate of Americans who were in these camps. Clues can be found in the declassified US intelligence reports in this section.